The invasion of mobile devices into our lives is not a new story. Our dependency on these devices is all-inclusive with our everyday on the go demands, and more importantly business demands in which our mobile devices have to deliver. Hence, mobile User Experience turns out to be the most important customer touch point today and a primary reason for retention or rejection. The recent advancements between native mobility & Siebel OpenUI has caused disruption to the takeover trajectory of newer cloud applications. Within the last three years, we have seen more mobile-friendly cloud technologies take siege on the majority market share enjoyed by Siebel over the past 15 years. Siebel customers once handicapped by Siebel's browser-specific restrictions, can now lock horns with modern cloud application offerings in terms of interface design, as Open UI is browser independent. 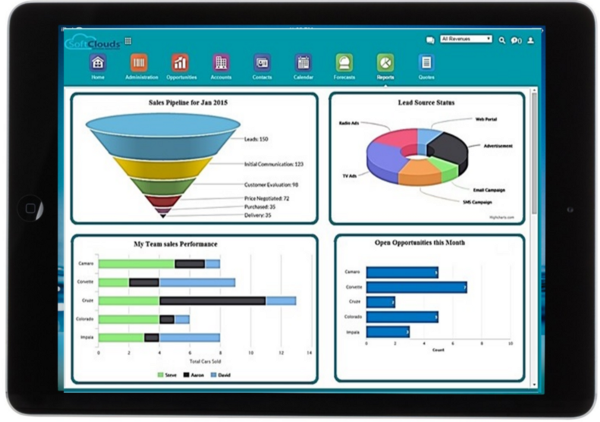 Recognizing the shift in user preferences, the ever growing variety of devices and their varying hardware and software features, Oracle created a competent, niche User Interface for Siebel applications — Open UI. The prebuilt features are deployable across a multitude of devices from desktop to smartphones and tablets with a range of browsers and an array of operating systems driving them. Siebel Open UI is an easily comprehensible and configurable transformation of Siebel to modern day demands. By shifting its focus to Responsive Web Design (RWD), Siebel CRM offers a single Customer Experience-centric solution deliverable across multi-channels like "on the go" mobile services, social apps & platforms, and of course the more conventional on-the-premise requirements catering to the complete CX portfolio that is easy to deploy & configure for a variety of clients. SoftClouds recently published a white paper on Siebel CRM where we examine the ability to leverage Siebel on any device to achieve enterprise-level business outcomes. We also address how better user experience can be attained without friction, keeping Siebel's best in class robust functionality relevant and with great acclaim from modern practitioners. Respecting the requirements of modern Enterprises, the strategy for Siebel Open UI is clearly focused on maintaining Siebel CRM relevance and the capability to leverage Siebel on any browser across any device whilst keeping Siebel's best in class robust functionality. It is no wonder that Siebel Open UI Responsive Design is Disrupting Native Mobility as long-established Siebel customers can preserve their investment, and veteran Siebel practitioners are empowered more than ever before. The customization and branding championed within the last year by means of Siebel 15 along with Siebel's projected roadmap of future investment ensure that the future is wide open for the technology. Siebel evangelists should take comfort that these game-changing releases will bolster preservation of CRM market share. 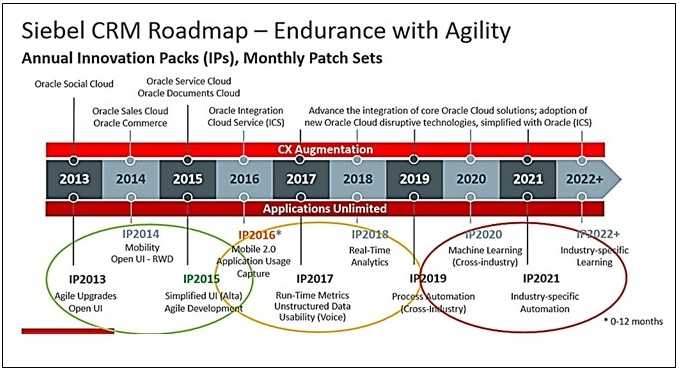 Oracle recently went GA on Siebel IP16 — our blog post that examines the features of IP16 is FOUND HERE.